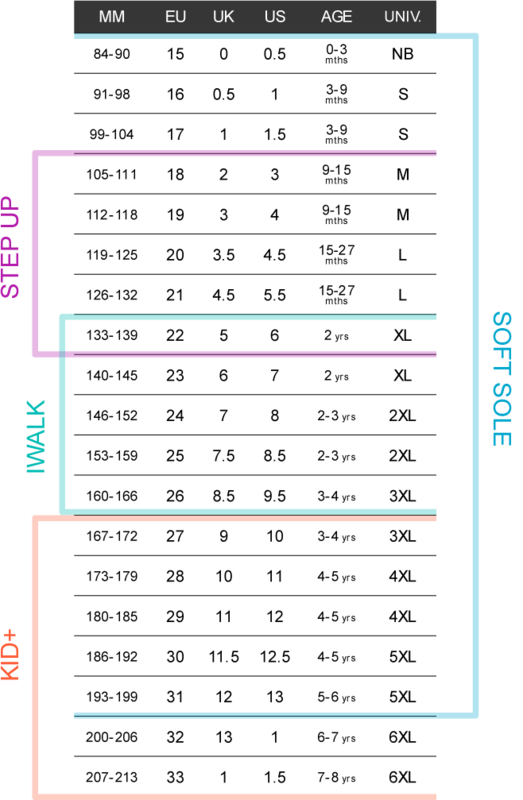 As you can see, both the Step Up and iwalk ranges include size 22. This is because of the different developmental stages children can be at when wearing this size - some are walking confidently, others are still finding their feet! Bobux believes in taking a youthful approach to everything we do and embracing creativity in all it's forms, much like the children that wear Bobux shoes. With a love for good design, Bobux have embraced and succeeded in the challenge to design shoes that are both stylish and good for kids!